Supplied as standard in quick release back and front. However, you can specify by separate e-mail (sales@rockandrollbikes.com) any combination of front 15mm through axle and rear 12mm through axle in 135mm width or 142mm width. 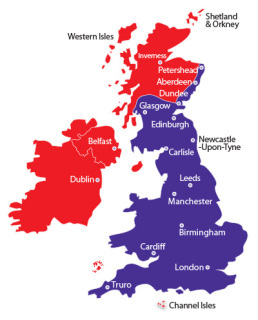 PLEASE NOTE THAT YOU MUST ALSO SELECT AND PURCHASE A DELIVERY OPTION FROM THE ADJACENT BOX DESIGNATED WORLDWIDE DELIVERY OPTIONS, UNLESS YOU WISH TO COLLECT IN PERSON FROM NOTTINGHAM. 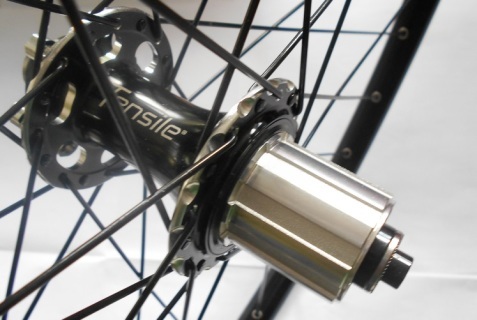 By popular demand we are releasing the 26" Pro Class rims built into Tensile Aerosilk Plus 2 Disc Hubs. Check out the hubs here. http://www.tensile.net/new-tensile-aerosilk-plus-2-all-mountain-disc-hubs.html ​. Hubs in Black and Silver only. Comes Standard in 32 mm Front and 38mm Rear although you can specify either for front or rear. Holes drilled in both rims all the way round for lightness. Every wheel supplied with special Red Rim tape which you can see through the holes. Though designed for use with disc brakes, the rim surface is CNC machined for optimum braking performance with Vee Brakes. Fom Tibet to Timbuktoo, we can deliver these wheels any where. Select your delivery option and make your purchase. By limitations these sections are pretty broad so it may be worthwhile e-mailing first to get a firm quote on delivery to your area, if you feel these costs are a little high.